The stage at the Barbican has belonged to many legendary musicians, and it is not a rarity to attend more than one incredible concert in the span of a few days. Nevertheless, even for such a high-esteemed venue, it is a once-in-a-lifetime event to host not one but two members of the most renowned, acclaimed, and influential Japanese band in the world, Yellow Magic Orchestra, in the same week. 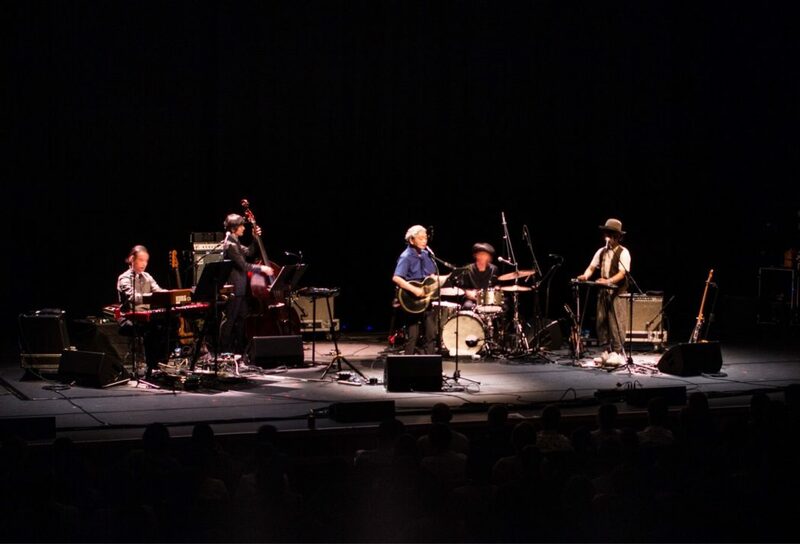 What is interesting is that the two band members, Ryuichi Sakamoto and Haruomi Hosono, were in town for different reasons and to play two very different concerts. Making music since he was a teenager, Hosono has explored and experimented with almost every musical genre, from folk-rock to exotica to video game music to synth pop. In recent years, his music, especially his iconic albums released in the 70s and 80s, has seen a huge (re-)rise in popularity outside Japan, that has led Seattle’s independent label Light In The Attic Records to reissue a few of them this year. And that is why Hosono was in town – to celebrate such an event, together with the 16th anniversary of the label. Since 2002, LITA has reissued great classics as well as released new talent, spanning from funk to protest music and soundtracks, earning for itself the love and esteem of many music heads all over the world, London being one of the places which has been among the most supportive of them. 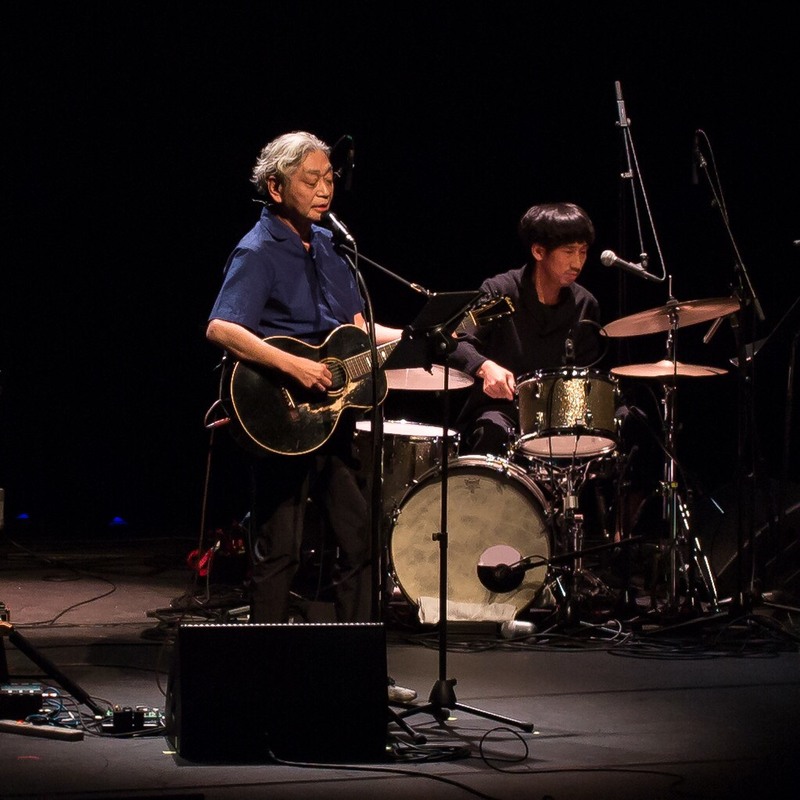 Joining Hosono on the bill were Canadian Inuvialuit musician, Willie Thrasher, and LA alternative rock trio, Acetone; three acts tied neither by musical genre nor country of origin, but each of them making unique music. The choice might have seemed odd at the beginning, but it was a smart move for LITA to show what they are about – a strong perspective. Willie Thrasher opened the night backed by singer Linda Saddleback. Unbelievably, it was his UK debut. Playing since the 1960s and reaching his highest point with his album Spirit Child released in 1981, he has also been reissued lately by LITA. 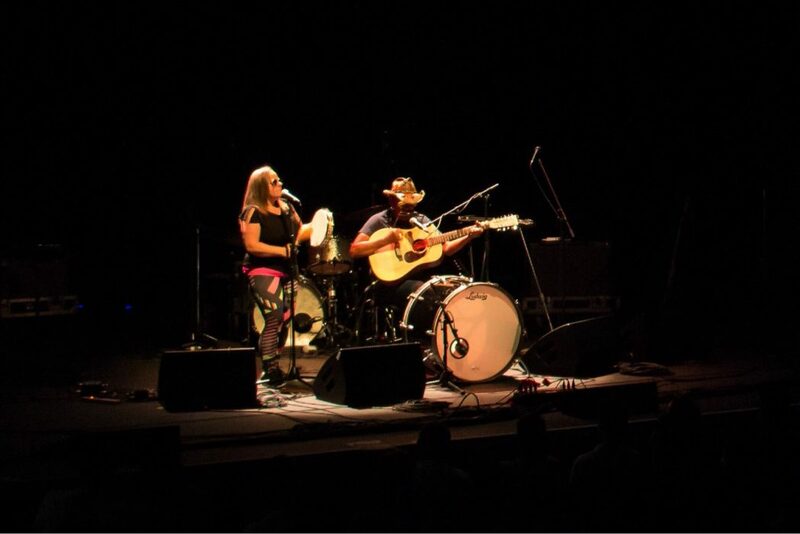 His music mixes his own Inuit cultural heritage with the folk-rock tradition of white America, but even more than his music, what is astonishing is his incredible charisma on stage. His performance was followed by Hosono’s vocals and guitar, accompanied by his long-standing four-member band. They chose to stay within the genres of boogie, folk, and rock; they played new and old material and even a brilliant cover of Kraftwerk’s “Radioactivity”. At some point, Hosono took a break to chat with the audience and all of a sudden declared that some friends of his were sitting in the audience and invited them on stage. A few seconds later, former Yellow Magic Orchestra’s member Yukihiro Takahashi and Japanese multi-instrumentalist Cornelius stood up and walked to the stage, between the screams of joy and the loud clapping of the audience, who could not believe their eyes and ears. They started playing an acoustic medley of some of the greatest hits of YMO, including “Absolute Ego Dance”, and while doing so with extreme nonchalance and humbleness, the audience still in awe, the only member of YMO left, Ryuichi Sakamoto, emerged from the darkness and joined them. They might have played together for less than 15 minutes, but that was a historical event; a reunion that had not happened for a long time, not even in Japan, and who knows when it would happen again. Witnessing it was an honour and an unforgettable experience. It was incredibly hard to focus again on the music when they left the stage and Acetone came on. 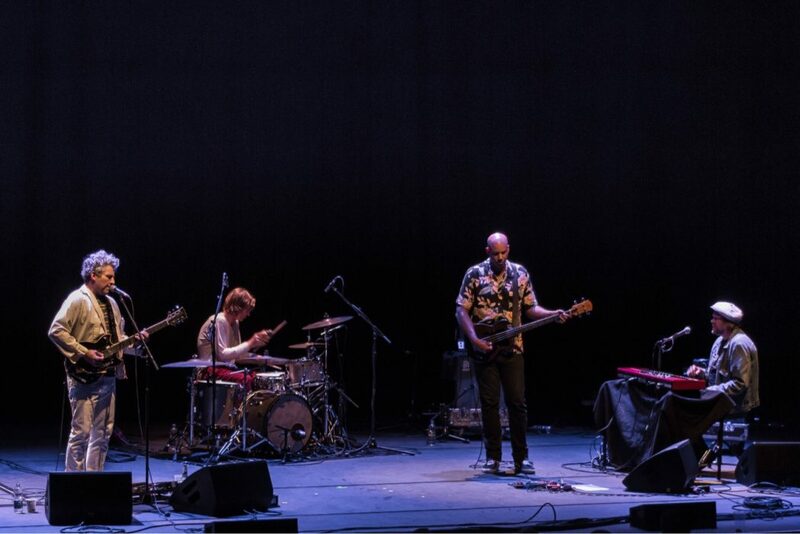 The LA trio, scarred by the tragic suicide of their co-founder Richie Lee back in 2001 and performing in the UK for the first time since then, delivered another beautiful performance, in which they revisited their own material from the 90s; dreamy grooves that have made Spiritualized’s Jason Pierce a fan. Perhaps not a good idea to let them play after Hosono and the surprise YMO reunion, which made most people’s hearts race and excited them to a point where it was impossible for them to sit still again, but on the other hand, it was nice to end the night on such a mellow note. Looking forward to the next Light In The Attic Records anniversary celebration.